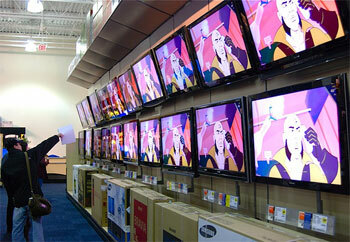 ﻿ TV Price Guide for 2013-2014; Predictions, Statistics – Is there Inflation in TV Prices? Could the Future Hold Inflation? Conventional wisdom is usually right... until it's completely wrong. House prices from 2003 - 2006 for example. Technology stocks in 1999 and early 2000 as another. Ask anyone if TV prices are going up or down and they will almost always reply with, "Down of course, they are dropping." You might be surprised to know that this mass sentiment is no longer true. Prices are increasing in some sizes and technologies while decreasing in others. 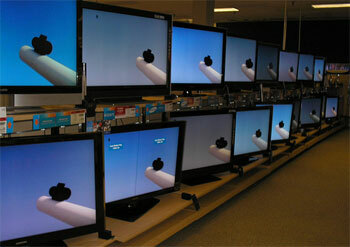 Samsung PN59D8000 59” top of the line plasma cost $2249 at Best Buy in summer of 2011. The replacement for this TV - the PN60E8000 - was $2597 in April of 2012 and is now $1900. The replacement PN60F8500 will be more expensive. We project an average price for the Panasonic TC-P50ST60 50” Plasma 2013 model of $1299. Furthermore, we believe prices have stabilized in this size and are slightly increasing. No decreases here either – prices flat to up. We expect the replacement TC-P50VT60 (no GT for 2013) to be $1399 - $1450. The 65 inch size has the most room to decrease and we expect prices in this very large size plasma to decline between 10% and 15% for 2013 and beyond. The 55 inch plasma size will stay flat at around $1599 for a good 2nd or 3rd tier model from a top brand like Samsung or Panasonic. The 50 inch plasma size will see no reduction in price staying flat to up. But why? Why would prices suddenly be leveling or even increasing. I can offer several explanations. For one, the industry manufacturers have been stuck on high growth ambitions for years seeking 20% year over year growth in units. Growth numbers are nearly always stated in units rather than dollars. Once it occurs to these TV market sages that a maturing market may fetch even or higher prices for a few more technological advancements, they may raise prices. Money printing by the US Federal Reserve and other central banks around the world is also an issue. The Fed states outright that it seeks inflation. This printing of money will result in higher labor costs abroad in Asia (where parts are manufactured) and Mexico (where TVs are assembled due to NAFTA). The materials and parts costs that go into producing TVs will also rise, just as industrial metals have been rising. Slow demand might occasionally cause prices to decrease temporarily. But when inflation hits, watch out. Demand could increase due to inflation. Prices could rise 10% a year. This is what the Federal Reserve seems to be hoping anyway....it's happened in other places in the world that recklessly debase their currency. Why cant it happen here? Is it safe to mount a plasma TV above the fireplace? Plasma TV Screen Burn-In: Is screen burn still a problem on modern plasmas?